Parents, teachers, and now entrepreneurs? All in a day’s work for Southside natives Kate Ryan and Heather McCarthy, whose first foray into the book publishing world —​ Someone Special: Uniquely Personalized Books —​ is poised to not only change the scope of resources for children with special needs, but also help share the message of kindness, acceptance, and respect for children everywhere. As her daughter’s first day of preschool loomed, McCarthy thought a lot about how to explain Maya’s rare metabolic condition to a room full of preschoolers. Since Maya’s diagnosis of propionic acidemia, Heather and her husband Rob have been committed to teaching Maya’s family members, friends, and strangers about the condition. But now that Maya was starting school, other children and teachers would need to know important information vital to Maya’s health. How do you explain complicated medical jargon to 4-year-olds? Using her resourceful background as a teacher, Heather designed and created a specific storybook about Maya that she can bring to class to help educate her teacher and peers. It was a huge hit—both for Maya, who loved seeing herself in the pages of beautiful storybook, and for the classroom. Longtime friend and fellow teacher Kate Ryan saw Heather’s homemade personalized book and immediately thought of the lasting impact this idea could have for children everywhere. ​Someone Special: Uniquely Personalized Books​ was born! After a successful Kickstarter campaign that raised over $18,700 in just a week, ​Someone Special: Uniquely Personalized Books​ is excited to take the next step in making this invaluable resource available to families everywhere. child or parents to write from their own heart about the condition or special needs of the child and help share the message that every child is uniquely special in his or her own way. 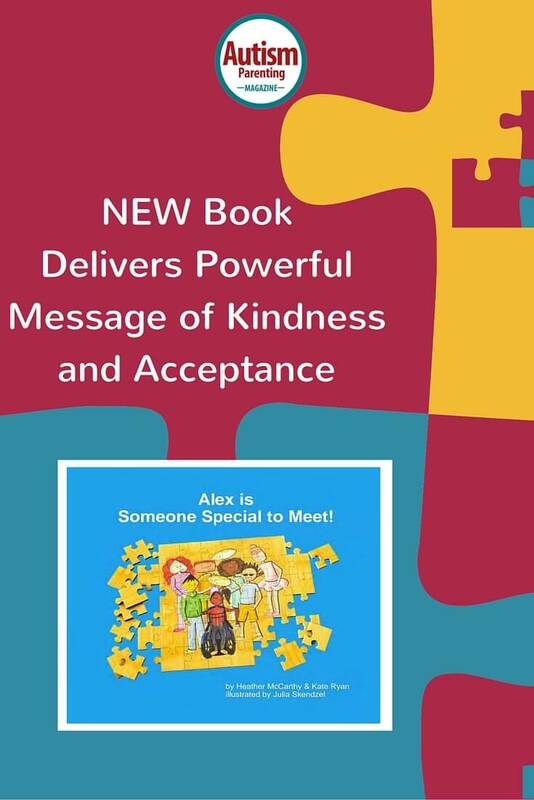 “Our mission is to write books to teach kindness, acceptance, confidence, and to respect differences. Through our uniquely personalized books, parents are given the opportunity to tell their child’s story using their own words,” says Ryan. Is this an autistic sight. That is what I am looking for my boys.